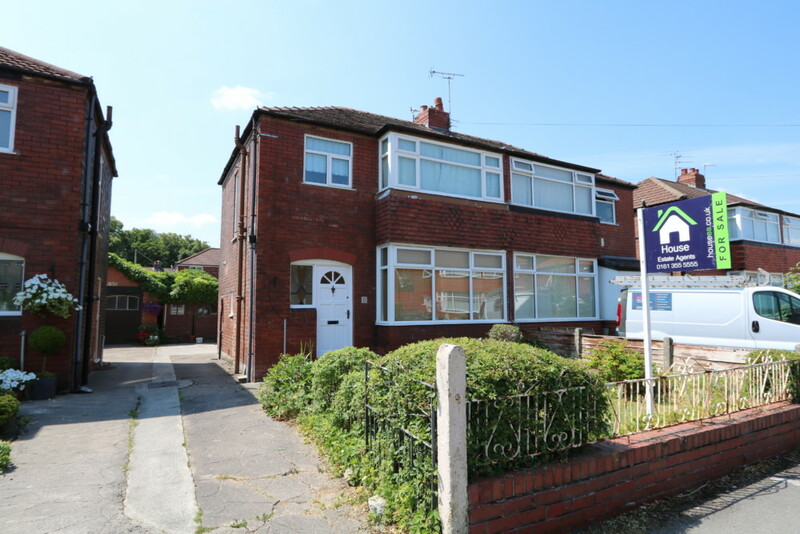 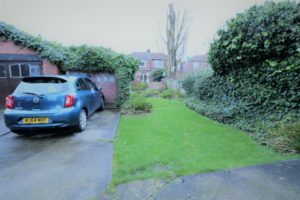 Lovely 3 Bed Semi with Off Road Parking, Garage and Gardens. 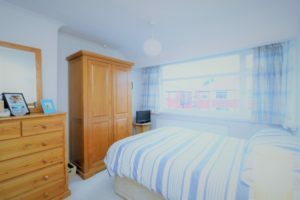 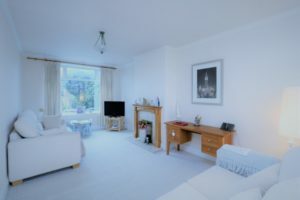 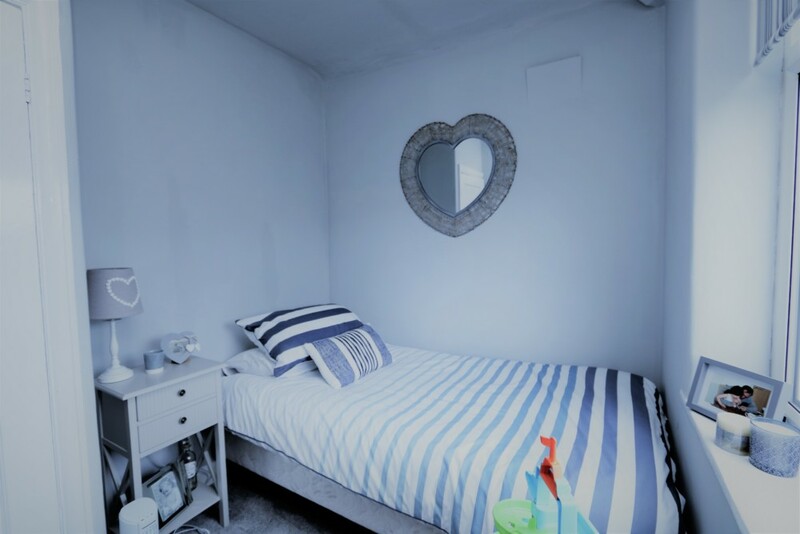 The property has been well maintained by the presents owners and has Gas Central Heating, PVCu Double Glazing, Modern Kitchen and Bathroom. 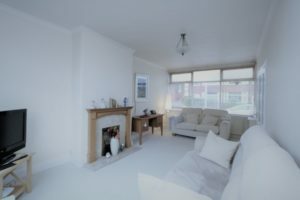 The accommodation comprises Entrance Hallway, Lounge/Dining Room, Fitted Kitchen, landing, 3 Bedrooms and Family Bathroom. 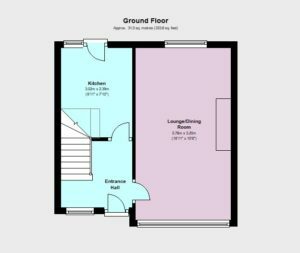 ENTRANCE HALLWAY 7′ 10″ x 7′ 4″ (2.39m x 2.24m) Spindled staircase to the first floor landing, PVCu double glazing, radiator, enclosed meter cupboard. 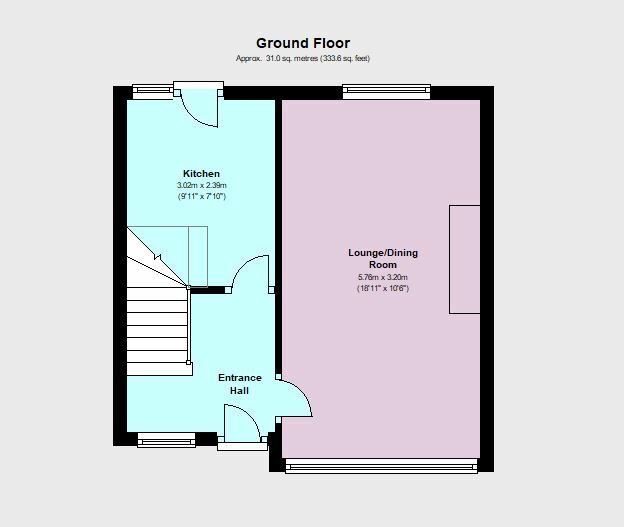 LOUNGE/DINING ROOM 18′ 11″ x 10′ 6″ (5.77m x 3.2m) Radiator, coving, feature fireplace, television point, PVCu double glazed windows to the front and rear. 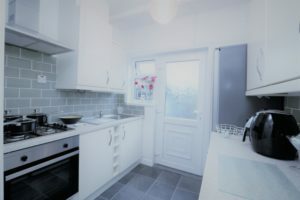 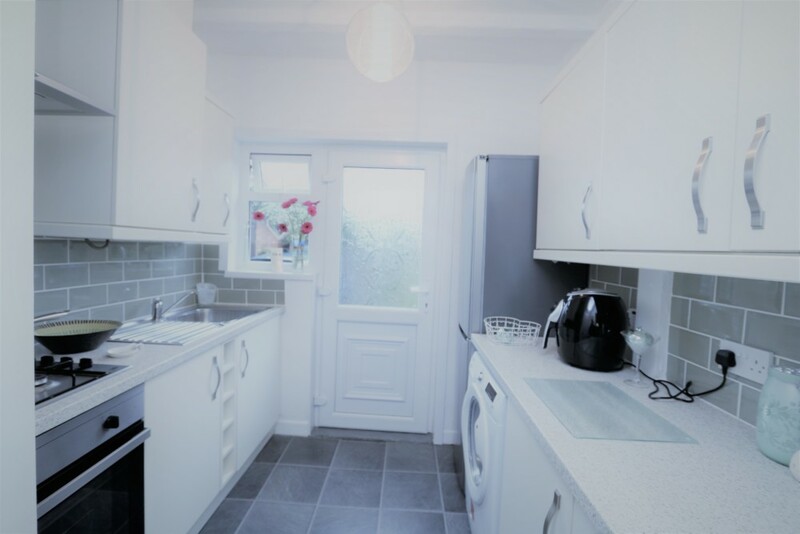 KITCHEN 9′ 11″ x 7′ 9″ (3.02m x 2.36m) Modern fitted kitchen with units to base and wall, roll edge work surfaces, part tiled walls, integrated oven, hob and extractor,,radiator, inset single drainer stainless steel sink with mixer tap, space for washing machine. PVCu double glazed window and door to the rear. 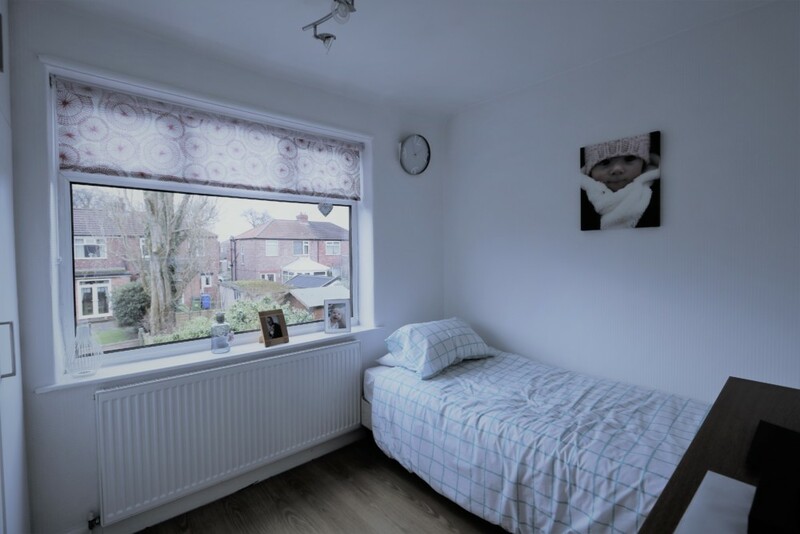 BEDROOM 1 11′ 6″ x 10′ 6″ (3.51m x 3.2m) Radiator, PVCu double glazed window to the front. 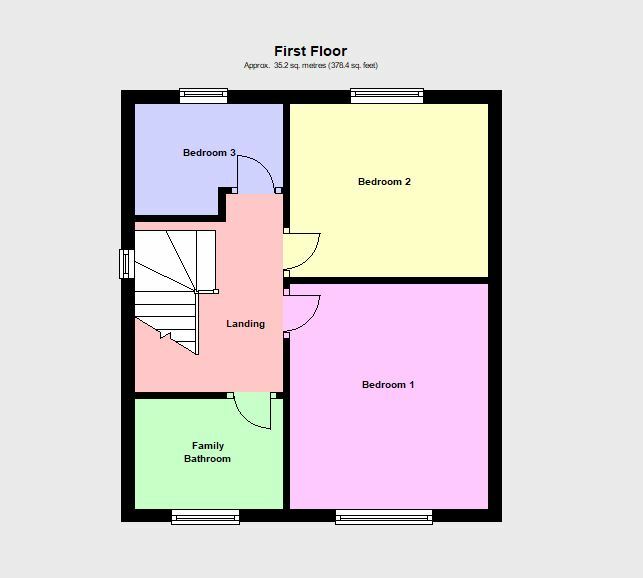 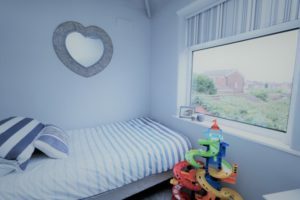 BEDROOM 2 10′ 8″ x 8′ 1″ (3.25m x 2.46m) Radiator, laminated flooring, PVCu double glazed window to the rear. 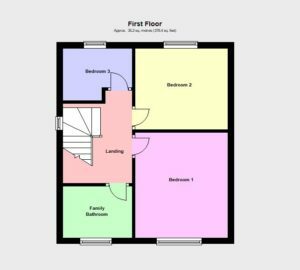 BEDROOM 3 7′ 11″ x 6′ 7″ (2.41m x 2.01m) PVCu double glazed window to the rear. 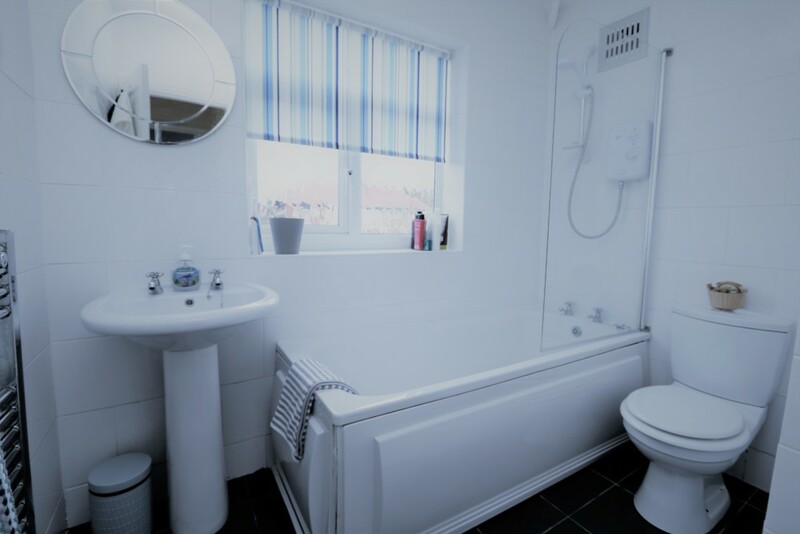 FAMILY BATHROOM Modern bathroom suite comprising low level wc, pedestal hand was basin, panelled bath with shower over, chrome ladder radiator, PVCu double glazed window to the front. 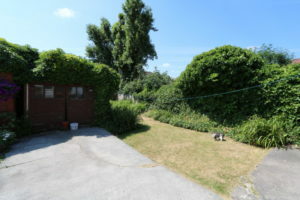 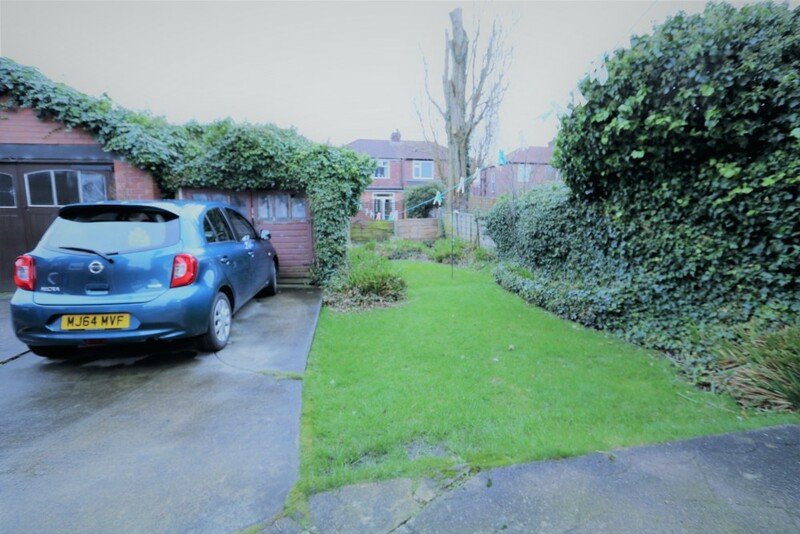 OUTSIDE To the front of the property there is a driveway and small garden the driveway extends along the side of the property to the rear garden and detached garage. The rear garden is fully enclosed there is a patio area and garden mainly laid to lawn.